401.2 miles to Harrisonburg via Gettysburg, the high water mark of the Confederacy. General Robert E. Lee’s defeat by General George Meade. 51,000 dead in a convincing demonstration of the 3:1 advantage of defense in modern warfare, a lesson lost on the generals of the First World War. I was surprised at how little relief there was in the battleground. 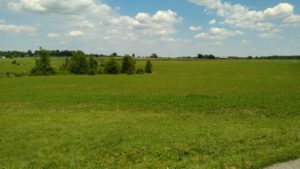 I had an image of steep slopes, but even the site of Pickett’s Charge was a gently sloping rise. Enough I suppose for the Union to get off a few more fusillades. 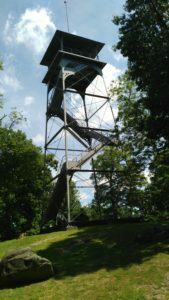 I climbed the tower at Culp’s Hill for a complete view of the battlefield! After the excellent visitor center and self guided auto tour off into a westering sky, through twisty country roads to the sound of the Memphis blues. I love Spotify.